Not be blindsided in the future. Influencers who use social media to connect, advertise and share information with their followers and fans need to understand the legal aspects involved in doing so. One of the tricks of running a successful business is thinking 10 steps ahead. The last thing you want to do is work hard to build your online brand, start earning money, work with amazing companies and brands, have a loyal follower base just to risk it all because of a legal issue you could have prevented. Ignorance Is NOT Bliss When It Comes To Social Media Legal Issues. Many people make the mistake of ignoring the legal aspects of a business because let’s face it – they are less than glamorous. While learning about the legal aspects of social media may not be as exciting as collaborating with brands and traveling the world, it’s equally if not more important. Why? Because if you run into social media legal problems along the way, they could jeopardize everything you’ve worked so hard to create. Nothing in this article is intended to be or should be construed as legal advice. Since every situation is different and fact specific, you should always consult with an attorney if you have any questions about the law, how to legally protect your business or if you face any legal issues. Ok now that we’ve got that out of the way, let’s go over legal issues in social media to keep on your radar. What You Need To Know About Social Media And The Law. ISSUE 1: Can you use your social media handle and/or blog name to sell a product or service, or does someone else have the legal rights to it? If you haven’t done your homework (i.e. run a trademark search and do some serious Nancy Drew style sleuthing), you could be infringing on someone’s trademark and exposing yourself to a serious legal problem and you don’t even know it! So what’s a trademark anyway? A trademark is a name, logo, phrase, symbol, and/or mark that identifies where a product, service or business comes from and distinguishes them from other companies. That’s why trademarks are so important in business because they make sure consumers don’t get confused by different companies selling the same or similar products. Basically, when you buy a product or service, you know what you’re getting. So what happens when you’re infringing on someone’s trademark? The trademark owner can take legal action against you, ignore what you’re doing, or if they are insanely kind, agree to coexist with you in the marketplace. Regardless of the fact that you may be infringing on someone else’s trademark, it’s never a good idea to build a brand with a name you cannot legally protect. …only to find out you have to change your brand name and even worse, start your brand from scratch. We know – your worst nightmare. We definitely recommend consulting with a lawyer before spending time and money to build your online brand. If you’re already travel blogging and influencing away and want to turn your influence into a full-time gig, product line, service hub etc. then you better make sure you have the right to do so ASAP. Your brand name (i.e. trademark) is one of your most valuable intangible assets so you need to make sure you can protect the sh*t out of it. It would be a shame to invest tons of time and money into building your brand, following and influence just to have it taken away from you. Curious to learn more about Trademarks? Click here for some Trademark basics courtesy of the USPTO. ISSUE #2: Are you properly disclosing partnerships, sponsorships and collaborations on social media? If you use your social influence to promote brands, products, services and even travel destinations for money or trade then there are certain rules the Federal Trade Commission (FTC) requires that you follow. These are set in place to protect your followers and fans so they know how much weight to put behind your recommendation and/or endorsement. Basically are you recommending a new amazing suitcase brand because you actually love it, or you were paid to say it? Of course, you could really like the suitcase brand and just happen to get paid to say it but nonetheless, you have to disclose. Disclosing brand partnerships and collaborations is a social media legal issue that most seasoned bloggers know about, but did you know that you may be required by law to include a proper disclosure on your post even if you’re not getting paid for it? You are required to use a proper disclosure on all posts where you have a “material connection” with the product, place or destination you’re promoting. Basically, the FTC wants to make sure there is complete transparency between influencers and their followers so they don’t get misled by any of the recommendations or endorsements they are making. If a brand pays you to post, you need to disclose. If a brand offers you something for free or heavily discounted, you need to disclose. If you have a relationship or invested interested (friends, family or business) to what you’re posting about, you need to disclose. It’s pretty simple! If you’re getting something of value or you have a personal relationship to the subject matter of the post, then you have to disclose. There’s just no way around it. The FTC’s disclosure guidelines are pretty easy to follow, but you need to make sure you do so every time. ISSUE #3: Do you own the copyright to the pictures you’re posting? Your Instagram feed is amazing right? You jumping in front of the Eiffel Tower in Paris, sipping a coconut on the beach in Thailand, riding a camel in Morocco…some of your favorite pictures ever. And although these pictures may have been taken with your camera, that doesn’t mean you have the legal right to post them (i.e. own the copyright). A copyright protects original works of authorship (photography, music, art, books, videos etc.) that are tangible. That means it doesn’t matter if photographs are taken with your camera, because the person that owns the copyright is the person that physically pressed the button i.e. the “author” of the photograph. In theory, that means that cute stranger in Paris who snapped the picture of you in front of the Eiffel Tower actually owns the copyright, not you. You better make sure you have the legal right to post those photos or you could be facing a legal issue that could have easily been avoided. In the new world of social media – memes, sharing, reposting – it seems a lot of people are pretty lackadaisical when it comes to enforcing copyrights. But when money gets involved a lot of times that can change. Nonetheless, it’s good to know the law behind it, especially since the influencer business is built on providing followers and fans with incredible photographs and snapshots of your life and adventures in return for compensation. Curious to learn more about Copyrights? Click here for some Copyright basics courtesy of the US Government. Issue #4: Can anything you write/say about others in your captions, posts or videos lead to social media legal issues? Part of being a travel blogger or influencer is giving recommendations and reviews about products, services and destinations. Your followers and fans look forward to hearing from you and are curious about what you think about things. They take your advice seriously. Think of defamation as something you say or write about somebody else that’s untrue and is so bad that it ruins their reputation, gets them fired from their job, or causes their business to lose money. We’ve all heard the horror stories of influencers trying to blackmail hotels and companies saying if they don’t get what they want they are going to write a horrible review and ruin their reputation. An influencer orders room service at a luxurious hotel in New York City. The food arrived and it was mediocre, and on top of that, her passport and wallet were stolen a few blocks from the hotel and she was eaten alive by mosquitos earlier in Central Park. It’s been a bad day to say the least. Instead of just putting on a movie and calling it a night, she posts on Instagram saying how she got food poisoning from the hotel’s food, she was held at gunpoint in front of the hotel entrance, and shows her mosquito bites, claiming they are from bed bugs. The influencer’s 1 million+ followers see her post and the hotel’s reputation is ruined. Tons of people call and cancel their upcoming room bookings and the hotel loses a lot of business and money. This is a classic case of defamation. Basically the post the influencer published on social media for all her followers to see caused harm to the hotel’s reputation and on top of that, they lost a lot of money from people canceling their stay. Of course, the law allows you to tell the truth (even if it’s not so glamorous) so the truth is a defense to a defamation claim. In the example above, the “review” the influencer made about the hotel was not truthful so that could not be a defense. But just to be safe and steer clear of social media legal issues, try to stay away from posting about a company or person that includes information they probably would not want to be said about them. Of course, we would never want you to be “inauthentic” but just think twice about what you say before writing it down. Although things may be true, they can still get you in trouble if the person or company you are writing about doesn’t like what you have to say. Yes, it may be the truth but if they take legal action against you for your statements, you will still have to defend yourself in a lawsuit nonetheless. Issue #5: Are you reporting the income you earn on social media? Everyone loves money, especially the US government. When it comes to reporting income on your yearly taxes – income is income, no matter where and how you make it. So if you’re earning money on Instagram by selling products, receiving affiliate commissions or getting paid for sponsorships, you need to report that income on your yearly taxes no matter what. 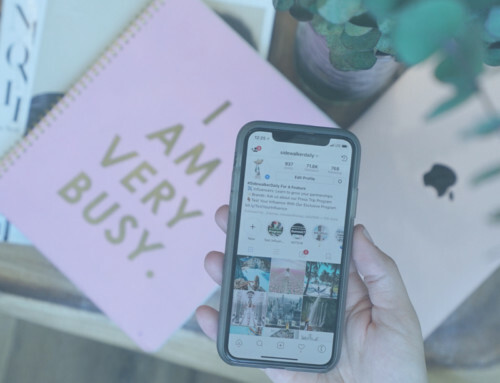 It’s important to understand that earning money on Instagram doesn’t mean you just have to follow social media laws, you have to follow all laws related to business, even tax and business law. Just FYI – Tax evasion or tax fraud (intentionally failing to report all income you have received) can get you into serious trouble with Uncle Sam and may result in fines and in serious cases even imprisonment. Ah! Totally not worth it! Legal Issues In Social Networking Are Bound To Come Up At Some Point So You Better Be Prepared. Turning your blog and social influence into a money making machine requires you to be knowledgeable about all aspects of running a business – even the law. Legal issues are bound to come up at some point in your career as a travel blogger or influencer and could jeopardize everything you’ve worked so hard to create if you’re not prepared. The best way to prevent legal issues is knowing what could impact your online brand and business and how to avoid them. If you would like to speak with a lawyer about any questions you have, feel free to reach out to hello@sidewalkerdaily.com and we will refer you to a lawyer that can help! Are these tips helpful? We’d love to know! Feel free to share in the comments section down below!